at The Forum. They crossed-over from the shores of their native Puerto Rico, breaking out into the mainstream US market and international scene through collaborations with Daddy Yankee and Aventure. Their fans are all fired-up to welcome them back onto the live stage after their five-year hiatus. And with that, tickets are moving out briskly. Don't run the risk of getting the 'sold out' sign flashed on your face. Book your tickets now! 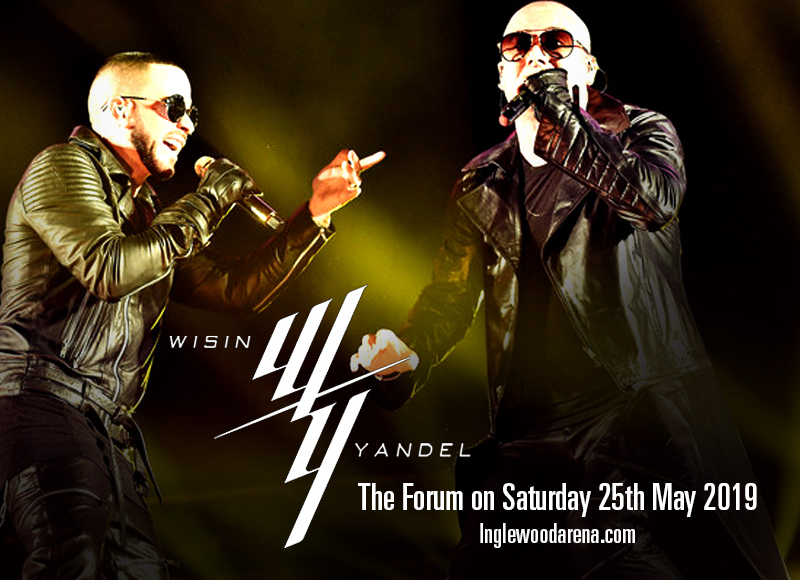 Reggaeton's wonder duo Wisin y Yandel is comprised of Juan Luis Morera Luna (Wisin) and Llandel Veguilla Malave Salazar (Yandel). They got together in 1998 and from there, they continuously moved forward with unprecedented feats. They are the record holder of the most number 1 on the Billboard Latin Rhythm Airplay charts for nine different songs. On the Billboard Latin Songs charts, they hold the record for most number one positions for six unique songs. They are also recipients of two Latin Grammys in 2008. With their well-established reputation in their native Puerto Rico and in Latin American shores, they were sought by other artists to work collaborations with stellar international acts like R. Kelly, Lenny Kravitz, Ja Rule, Ricky Martin, Paris Hilton, RBD, Fat Joe, 50 Cent, Nelly Furtado, Gloria Estefan, Jennifer Lopez, Enrique Iglesias, Aventura and more! In 2014, they took a hiatus to pursue solo music pursuits. This year, they are reuniting again onstage to explode with the iconic reggaeton beats that set their careers on fire. Bask in their electrifying energy and feel euphoric with their positive vibe. Don't miss it, book your tickets now!